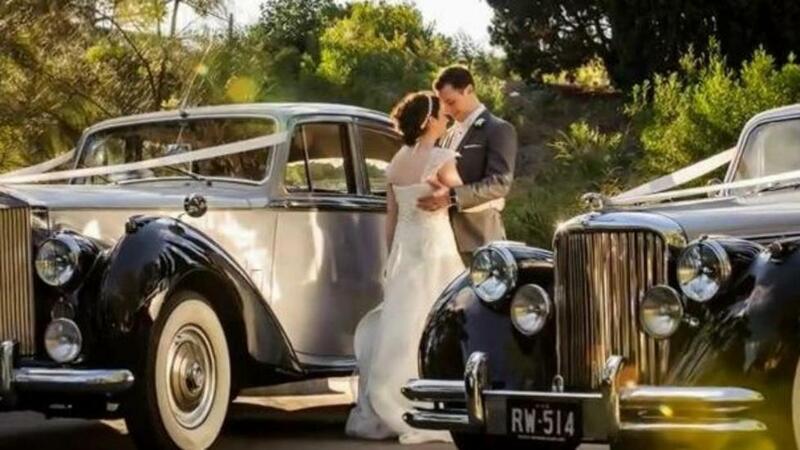 Scroll down to get some great Wedding car hire ideas for your wedding photo location in Sydney. 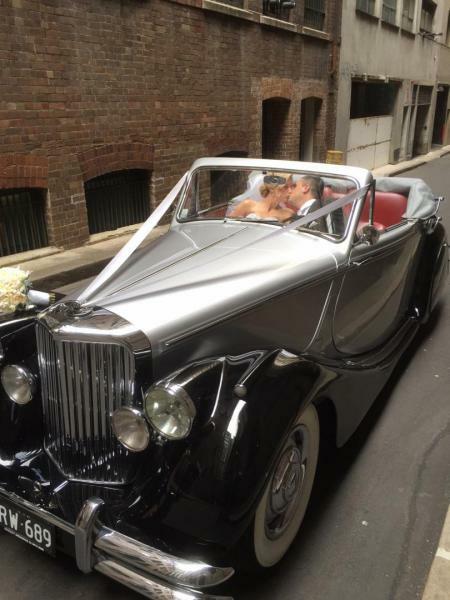 Our Rolls Royce Bridal car compliments any wedding day, can you imagine this as your wedding car. 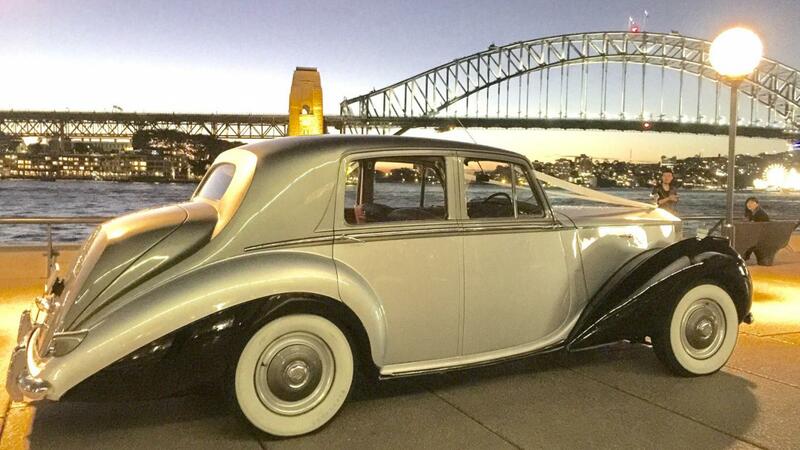 Taken at the Marquee of the Opera House, the Rolls Royce looks stunning with the backdrop of the Sydney Harbour Bridge. 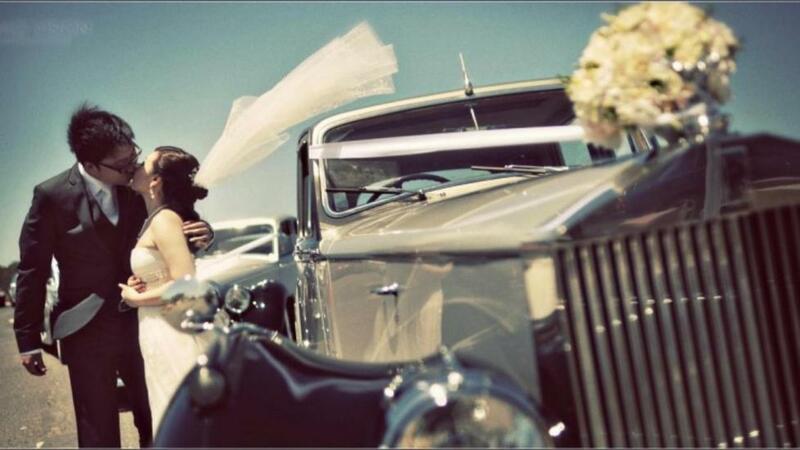 Perfect Wedding car shot. The Rocks,Sydney, The Capital for Wedding car photos, by far the most popular wedding photo locations in all of Sydney, so many places to go. 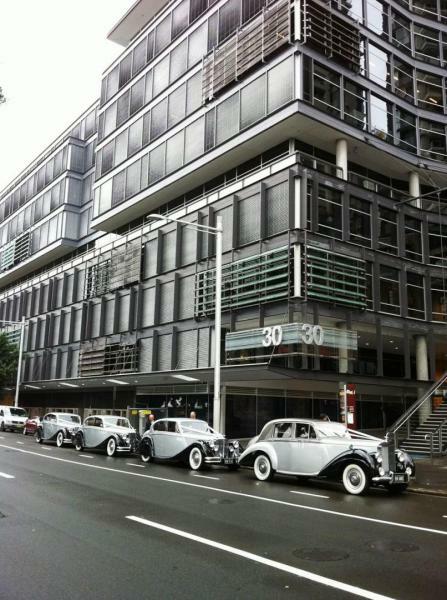 This photo was taken at the Palasade Hotel , end of Argyle St The Rocks. 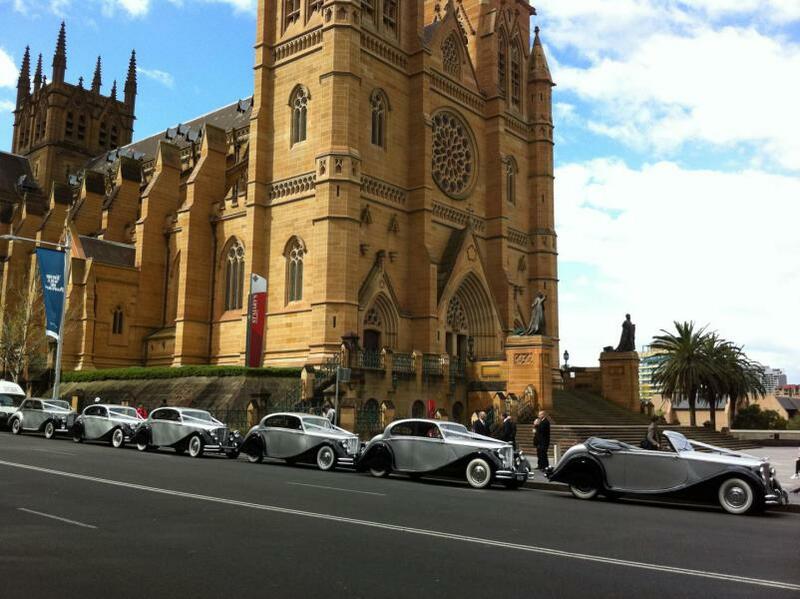 On any given weekend you will come across dozens of wedding cars with their bridal party taking photos. be careful, sometimes you have to line up for cetrtain wedding photo locations. 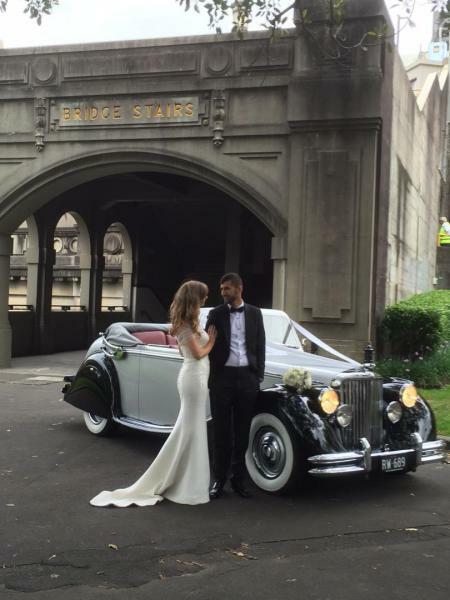 Great photo of our Bride and Groom at Observatory Hill Sydney, at the underpass, one of many great photo locations on site at Observatory Hill. 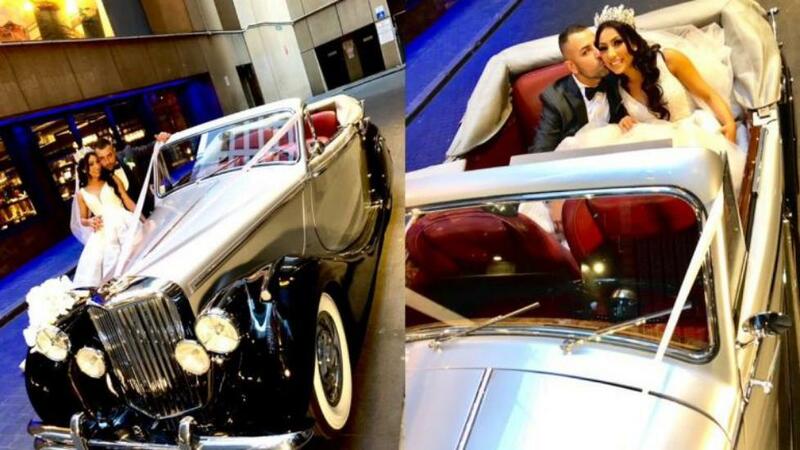 Located in the heart of the Sydney City CBD, back lane shots are ever so popular with wedding photograhers and our bride and grooms. 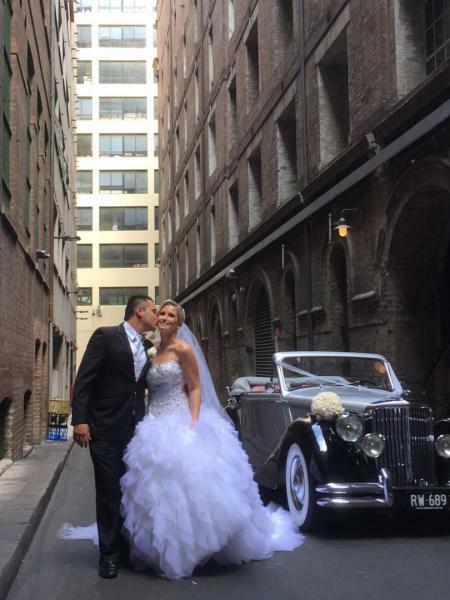 This Shot was taken in Bridge Lane Sydney, off Pitt St, next to the very popular restaurant, Mr Wong. 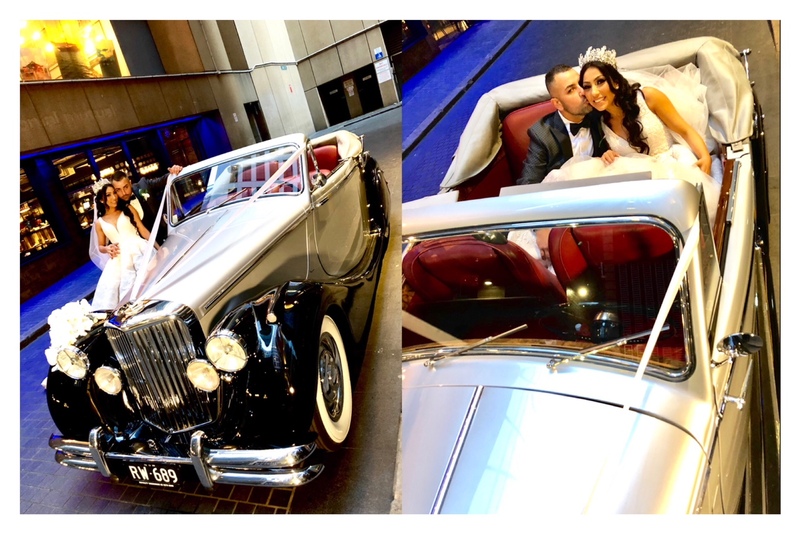 One of my favourite shots, Again in Bridge Lane, Sydney CBD, this time the Bride and Groom take over the Bridal car for a very romantic photo. 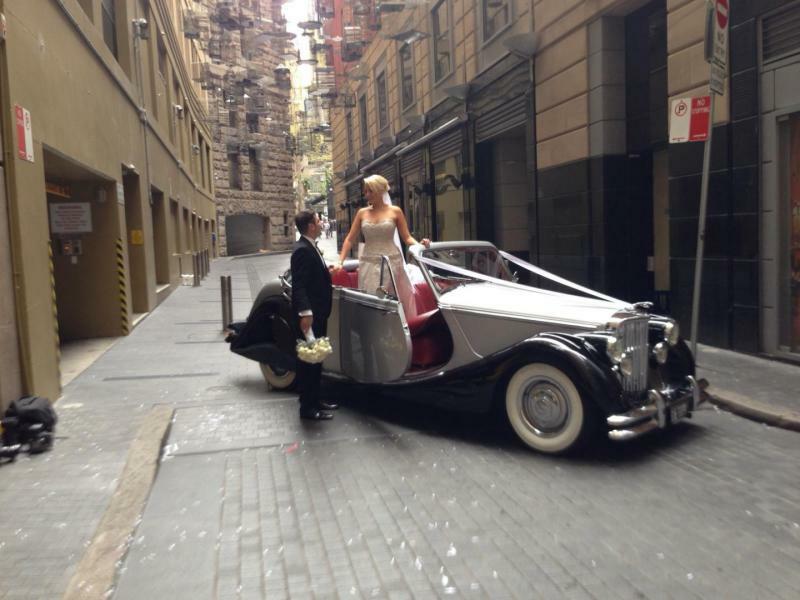 again in the back lanes of the Sydney CBD, the Bird cage in Angle Place is a very popular spot for the wedding photos. 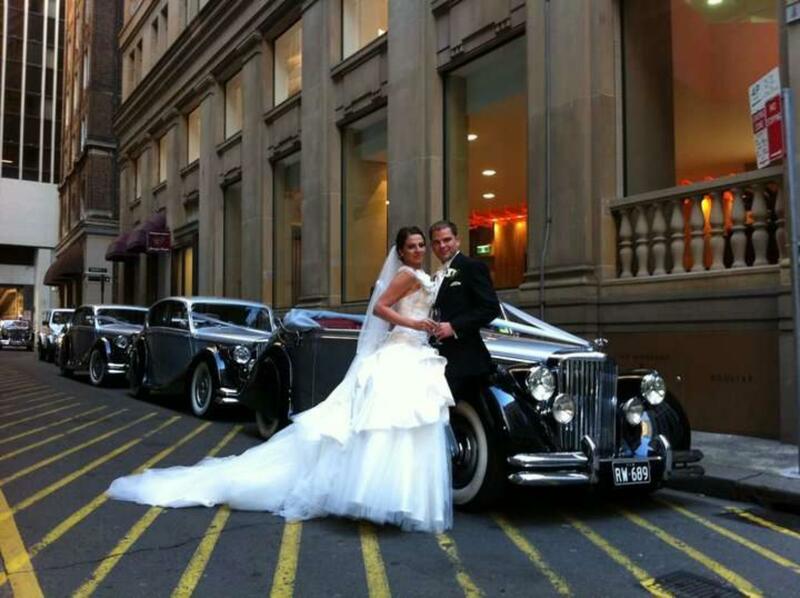 Located next To Martin Place off Pitt St, this venue is a great place for your wedding photos. 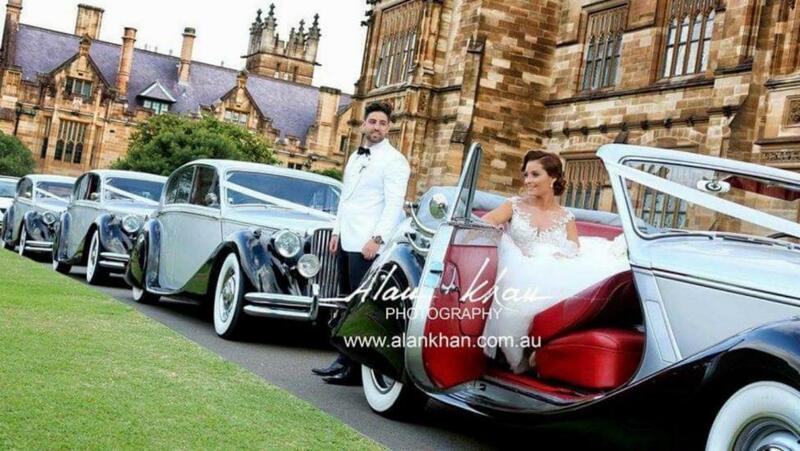 as you can see our Convertible just fits in but makes a beautiful wedding photo. With out a doubt, Sydney has one of the most beautiful Harbours in the world. Here we are at Blues Point Reserve, located at the End of Blues Point reserve, North of the Harbour Bridge. St Mary's Cathedral, One of the Grandest Catholic Churches in all of Sydney if not Australia, this location is stunning. 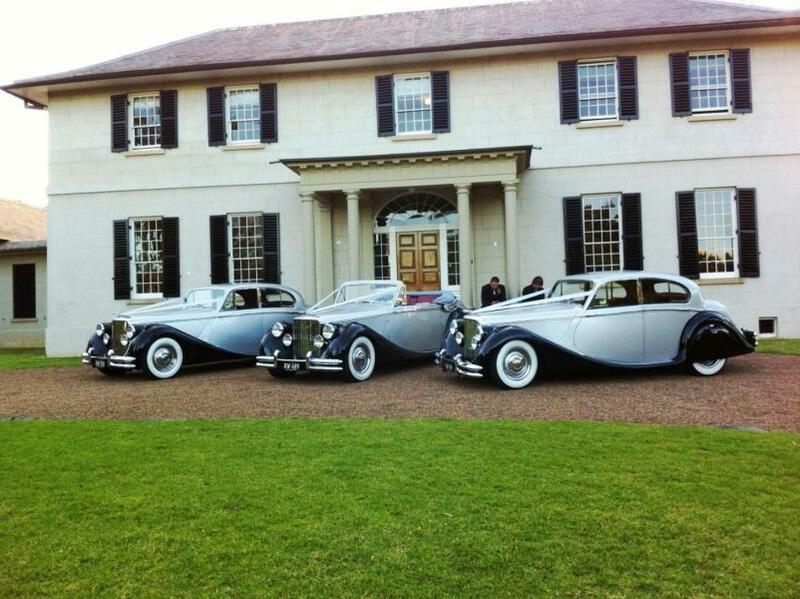 As you can see our wedding cars were all out today for a large bridal Party. Located in College Street Sydney and acroos the road from Hyde Park, this is a wonderful church to get married in, have your photos taken around the Church, then across the road to Hyde Park for more Photos. The Dolton House Reception Centre is just acroos the road, so not far to walk. Sydneys Largest Entertainment hub but home of some great wedding locations. Chinese Gardens is very popular for wedding ceremonies and photos shoots. 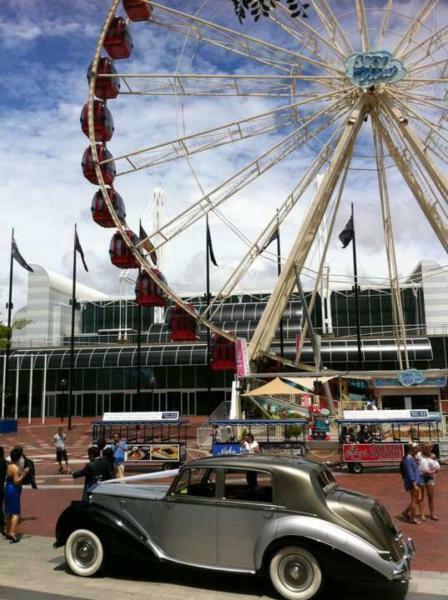 Here you See our Rolls Royce wedding car is allowed to go into Darling Harbour walkway, if your lucky you can sneek in a quick photo like we did. 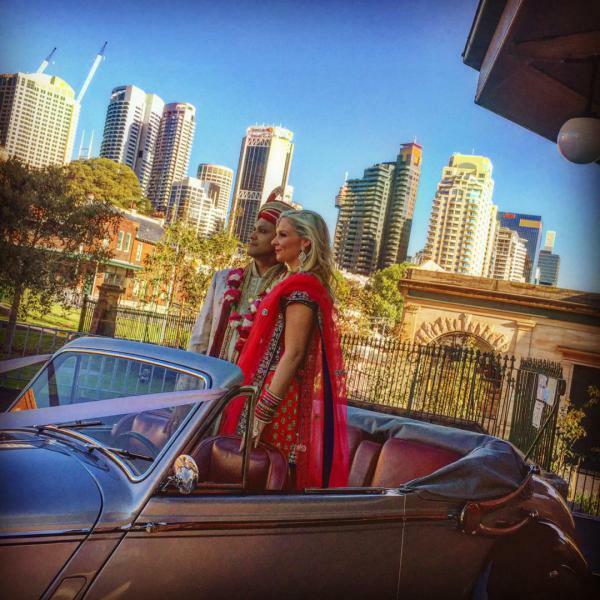 With many wedding recetion venue such as La Aqua and the Star Room, not to mention all the Wedding cruises that leave from Darling Harbour. For the intimate weddings, there are many restaurants that cater for boutique wedding reception. 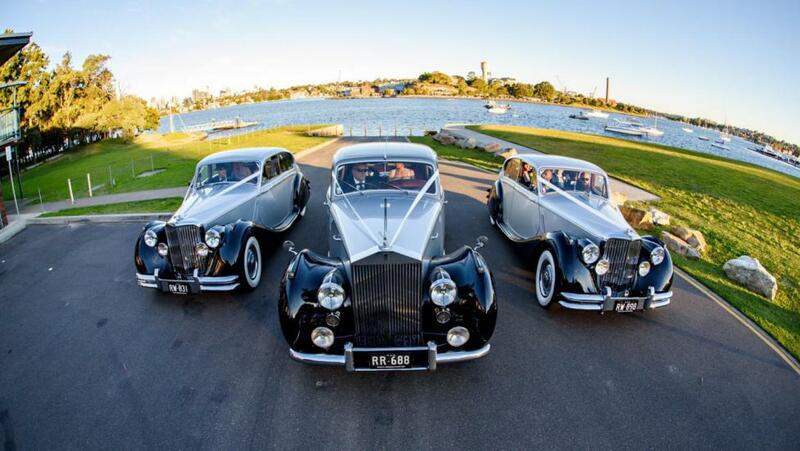 Most time our Wedding cars will drop you off at Wheat Rd, Cockle bay for easy access to most of the Wedding venues. 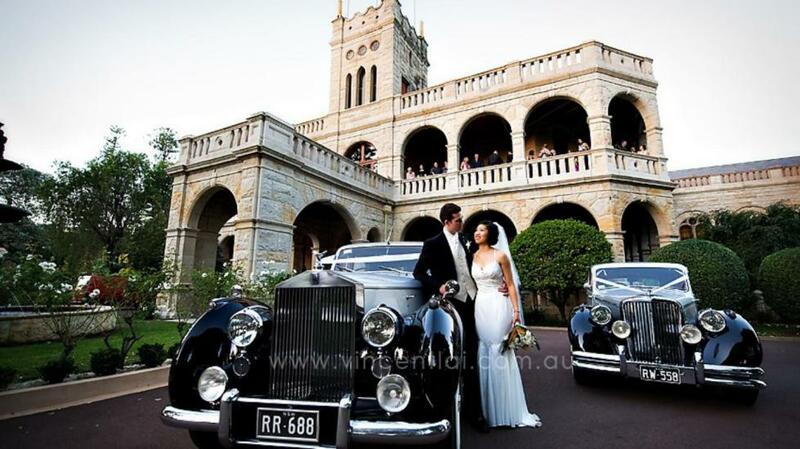 Sydney University has been a very popular photo location for all wedding photographers in Sydney. 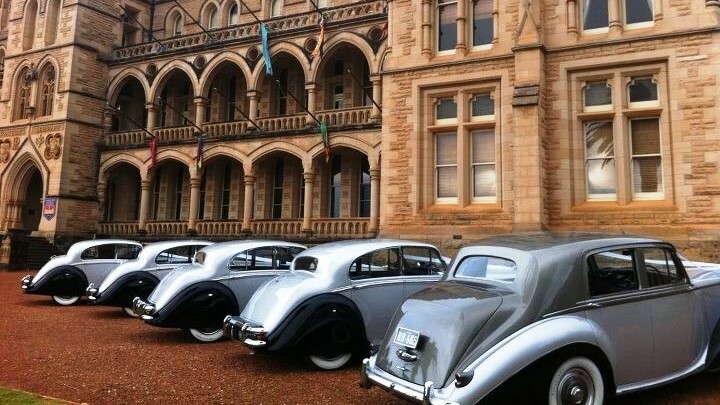 And so it should be, by far the grandest building in Sydney, boasting acres of heritage and stunning photo location for all modern and classic brides. Remember you do need to book so call Sydney University 02 9351 2222. Oatlands House, located at Bettington Rd Oatlands, next to Oatlands Golf Club is a beautiful spot for your outer Sydney photo location. Either having your wedding ceremony there or Wedding reception, you dont need to go to any other location as this place has it all. 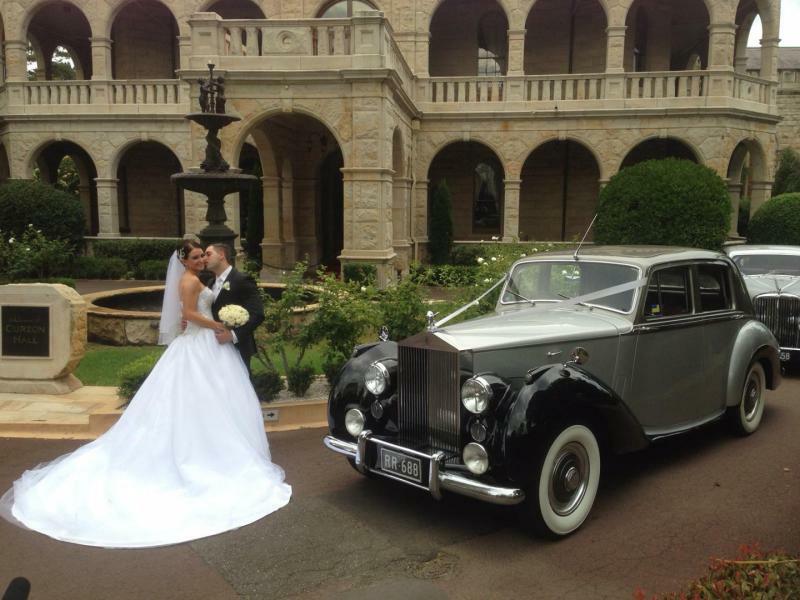 You may even be able to book the grounds purely for you wedding photo location..... Just 30 minutes from Sydney. Beautful man made park, located in Homebush, Bicentennial Park is a beautiful spot if you want to stay local. Home of Sydney Olympic Park, the Waterview Wedding recption, this location has endless potential for multi photo location shots all close by. This shot was taken in one of the many car parks on site. Having so many cars on this wedding, this was the only place we could take this shot. Balmoral Beach, located 8 km's North East of Sydney is one of the closest Beach wedding photo locations is Sydney. 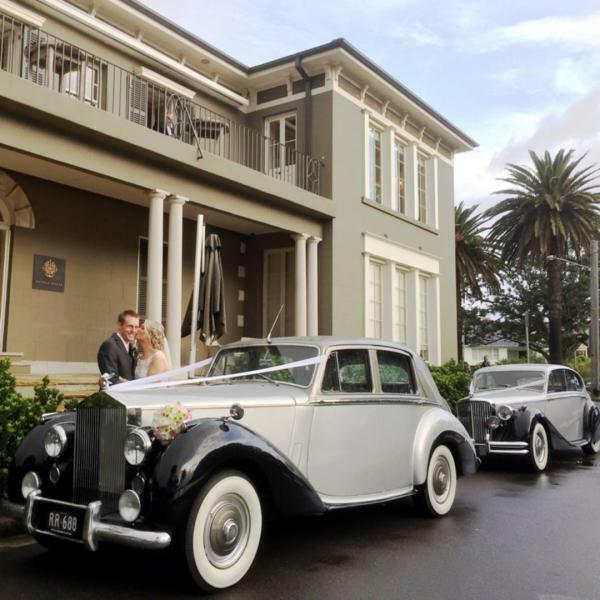 Photo here is our Rolls Royce wedding car in front of Bathers Pavillion, a very popular Wedding Venue. 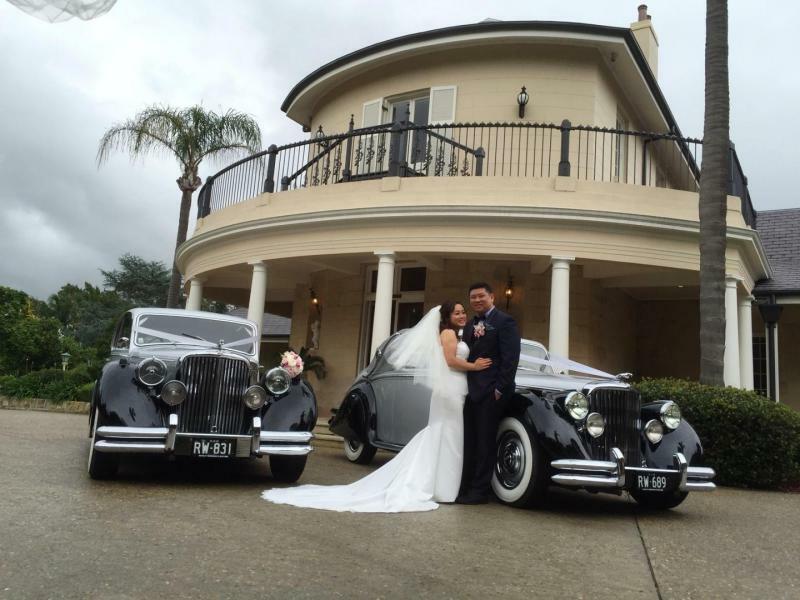 Great wedding photo locations such as the Rotunda where many Weddings are celebrated, Rocky Point with a great track and bushlands for great photos for the Bride and Groom and the Wedding Party. 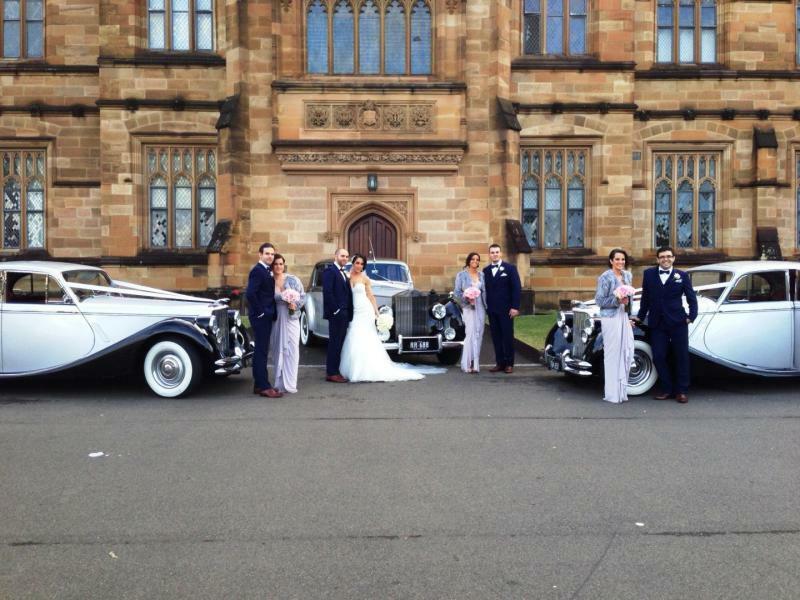 Curzon Hall, one of the most beautiful Wedding Venues in Sydney. As you can see, The Rolls Royce sits perfectly here with the stunning Castle in the background. 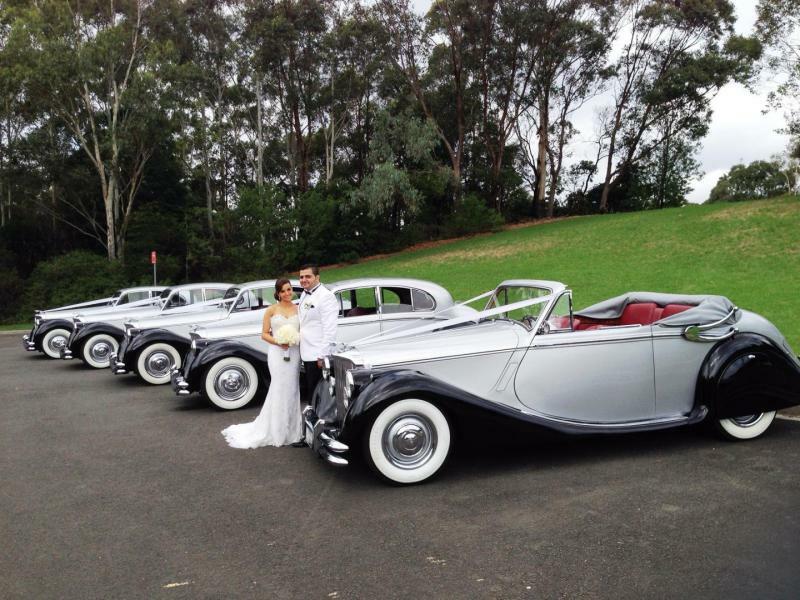 With all our wedding cars suited perfect for the Wedding of your dreams. 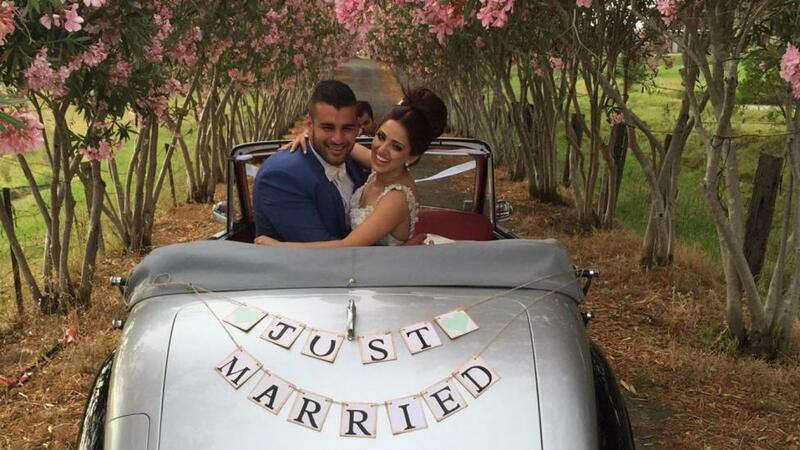 Set upon 3 acres of beautifully manicured gardens, Your complete wedding from ceremony to photos then a 5 star reception can akll be had at the Curzon Hall. Part of the Navarra Group, you assured perfect service. Located only 25 minutes from Sydney, Marsfield is a easy access to the M2 and many other roads leasdding all over Sydney district. 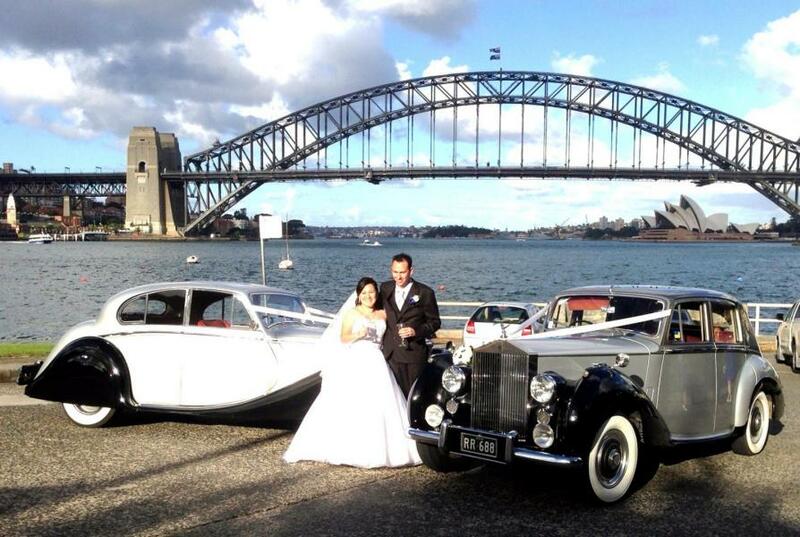 Located in west side Sydney, next to Barangaroo, you can see our Wedding Cars look great with this back drop. Other great wedding photo locations include Pier One, all the Piers going down Sussex St are great wedding locations, especially in wet weather. One of the most beautiful Catholic Churches in Manly, with a view to die for. Parramatta Park is a beautiful spot for your Wedding photo location. 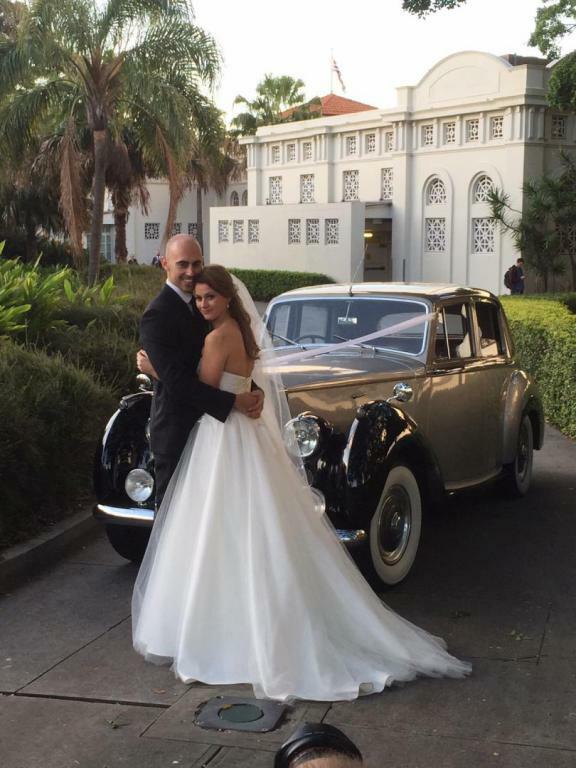 Wedding cars can manouveur around the park without a problem. Enter Via Oconnell St, there are so mant photo locations including the bath house, Rose gardens, rail tracks and so much more but you do have to book. Call 9895 7500. Dunbar House located in Watsons Bay is one of the most stunning Wedding Reception venues in fare Eastern Suburbs of Sydney. 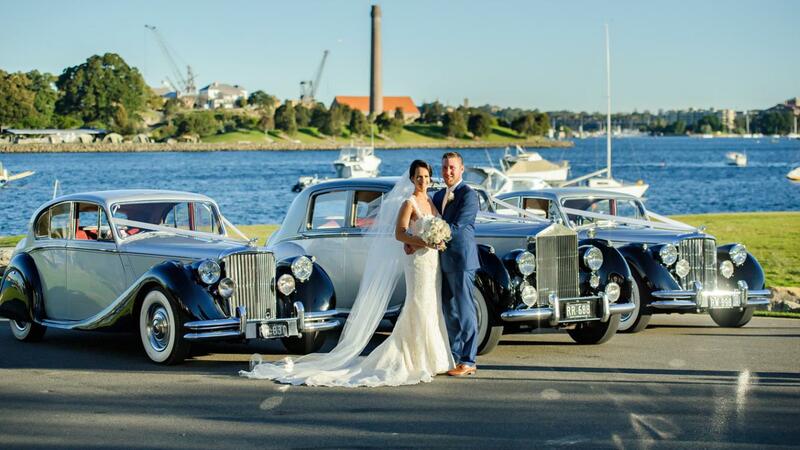 Located at 9 Marine Parade, Watsons Bay opposite Robertson Park, a great place for your civil ceremony. You can stay at the Watson Bay Boutique Hotel only a minutes drive and stay in the one area for your breathtaking photo shoot. With so many local locations for your wedding photos including the ever most popular north head light house, Camp Cove for your beach photos, Watson Bay itself on the ferry wharf, Green Point Reserve for its Harbour views and so many more locations only a short drive from the Dunbar House. Check this place out for your self, you wont be disappointed.